Have you wondered how to make pretty pink strawberry frosting with NO food coloring?! 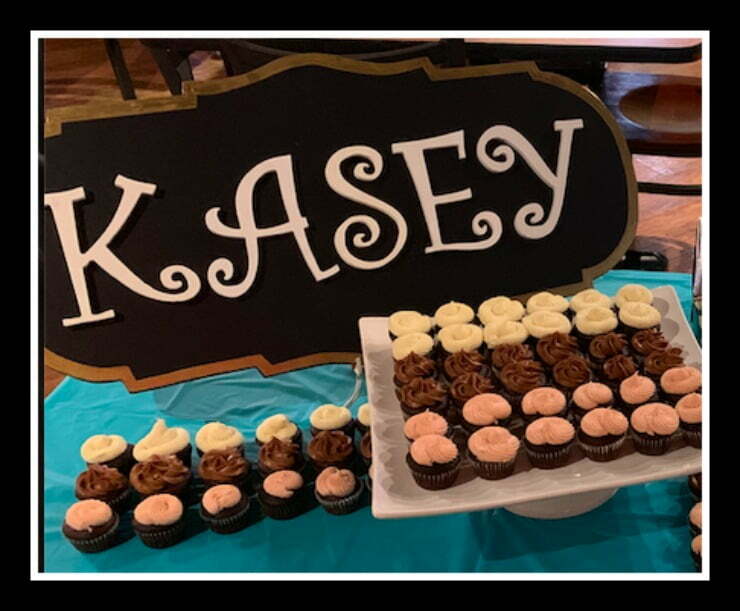 When planning for Kasey's premiere party, I thought it would be fun if he recreated an improved version of the cupcakes that got him eliminated on the show (vanilla cupcakes and cream cheese frosting with bacon and marzipan), but he was adamant that he wanted to make Neapolitan cupcakes. 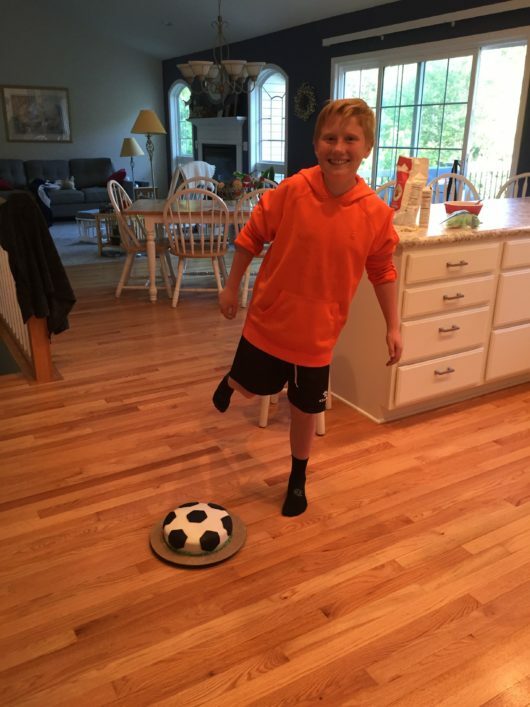 He's quite headstrong when it comes to his baking — he knows what he wants to make and how he's going to make it! 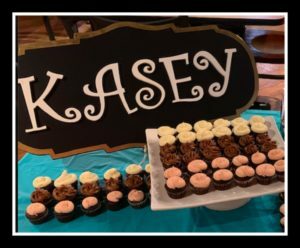 More times than I can count I'd hear what he planned to create next and say, “I don't think that'll work, Kasey…” He'd insist of course and end up surprising me. 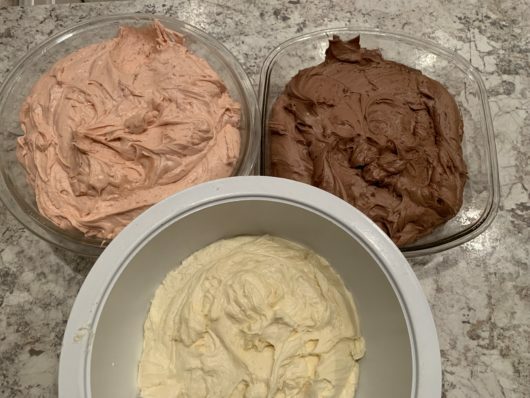 When he said he wanted to make Neapolitan cupcakes, all I could think of was how he'd have to make three different flavors of frosting and how in the world would he make a pretty pink strawberry frosting with no food coloring? But again, he knew what he wanted so we went with it. 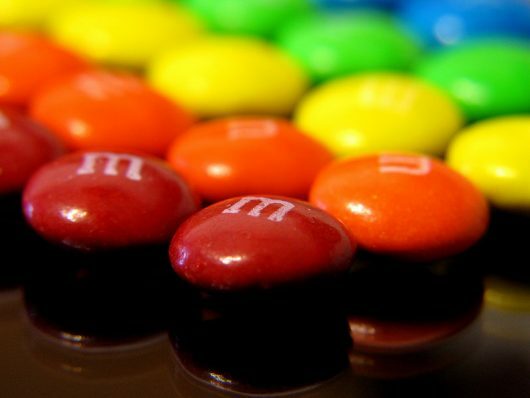 Here's more about why to avoid the nasty chemical-filled food colorings: The Ugly Side of Food Dyes — Food Coloring Dangers are REAL. Besides avoiding it in your baking at home, also make sure it's not in the food you buy at the store — it's so much easier these days to stay away from it! 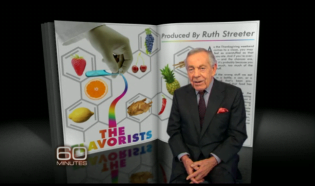 By the way, we tried the organic food colorings and they don't work. They're super pale or just come out with weird colors. 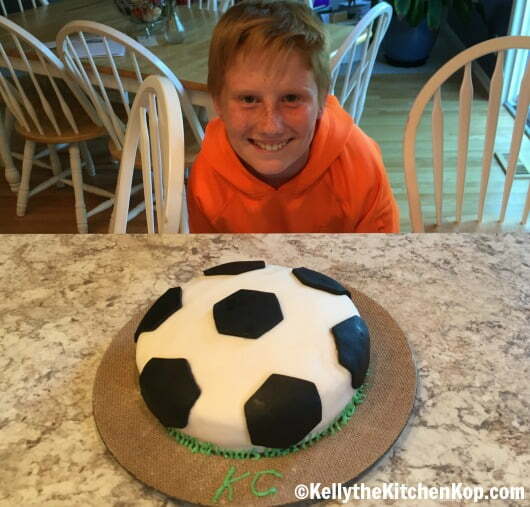 Early on when he needed to show some of his baking, he had to use food coloring in a few of his creations, but if it was really bad, like the pure black in the fondant on his soccer ball cake, we'd take pictures and then throw those parts in the trash. Even Kasey agreed: that stuff tastes like pure chemicals and is gross. 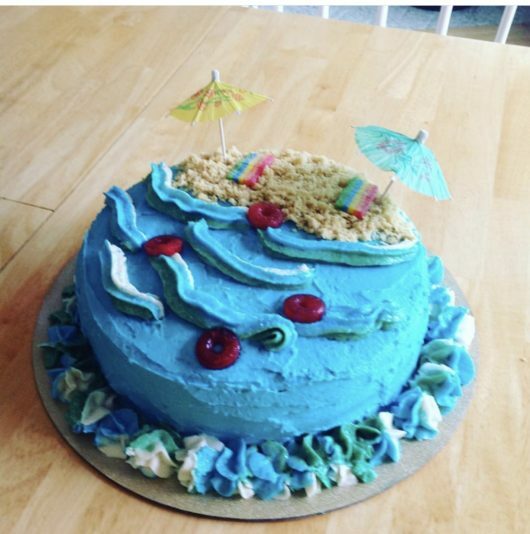 If it wasn't AS bad as that, like with his beach cake for example, then he'd have a piece and we'd share the rest around the neighborhood, which is what we did with most of his baked goods anyway. There's only so much we can eat, especially so much sugar, ughhhhh! So when I asked him, “HOW are you going to make pretty pink strawberry frosting with NO food coloring? !” He said, “I'll just use strawberry puree,” and this was in his matter-of-fact “DUH” voice. They were a hit at the party! For the puree, combine the strawberries, sugar, and water in a saucepan and bring them to a gentle boil until the berries reduce to about half, it'll take 20-30 minutes or so. Turn off the heat and let cool. Puree with a stick blender or in your food processor or blender until smooth. Mix the butter, powdered sugar, and 1/2 cup of the puree until smooth in your mixer (I looooove my Bosch mixer for this and for so many things it's handy for in the kitchen). Add more puree if needed until it's a good consistency. If you add too much, just add a bit more powdered sugar. If it's too dry, add more puree or a little milk or cream until it's just right. 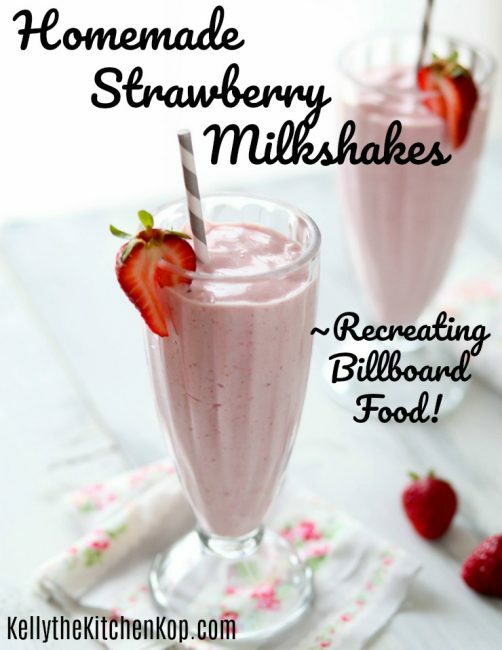 You can also make a strawberry cake with this puree, just decrease the other liquid called for in the recipe and add 3/4 cup of the puree instead. I was just looking into making black frosting and came across the best idea of using black cocoa powder to make black frosting which I bet would work perfect! I have only recently acquired some black cocoa powder, and while I have experimented with it a little, I have not added it to frosting, so I can’t speak personally to how well this works. However, that stuff is really black, and even when I have used it in small quantities combined with natural cocoa powder, it turns the mixture very dark/black, so I imagine it would be perfect for black frosting and even fondant and definitely seems worth trying!! 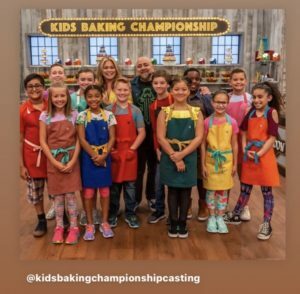 I will admit that I had never actually watched the Kids Baking Championship show before, but after seeing your blog posts on Kasey I found myself watching that episode and have now seen several episodes even from other seasons. I love watching the kids and how creative they are and how truly impressive they are in the kitchen. So inspiring! I agree, I’m really enjoying watching these shows too, except for how it makes me hungry for sweets…! Good idea about the black cocoa powder, where do you get it?